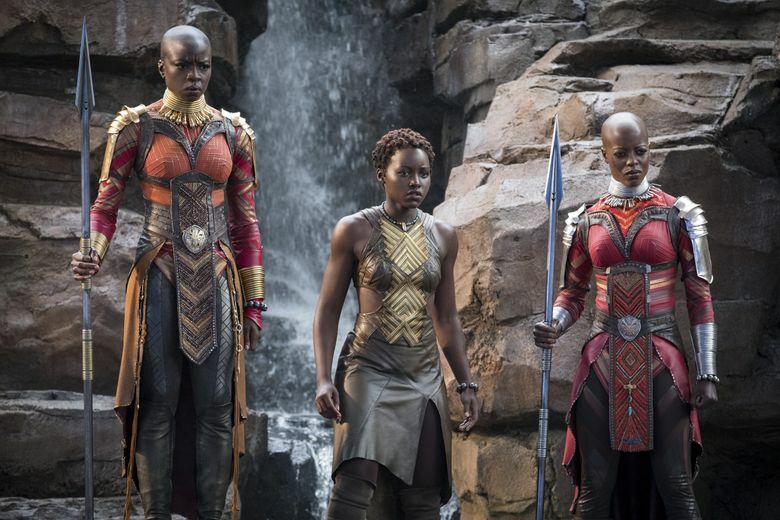 ‘Black Panther’? ‘The Favourite’? Who will win the Oscar for best costume design? 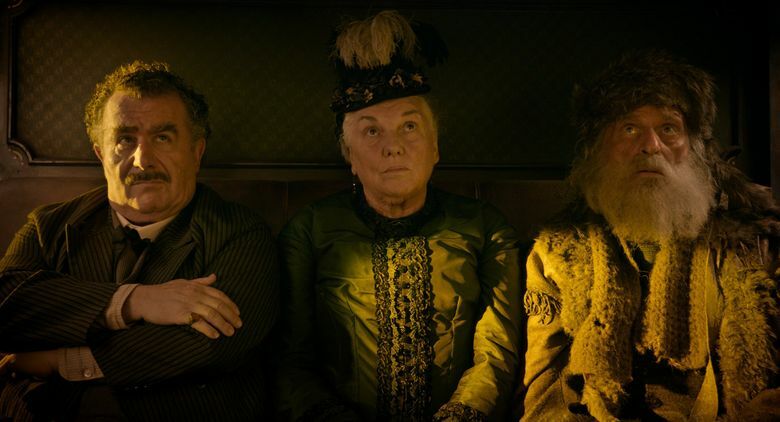 Mary Zophres’ first Academy Award nomination was for the 2010 Western “True Grit”; now, with a detour for the jazzy, bright contemporary costumes of “La La Land,” she’s back in the Old West with the Coen brothers again, nominated for the “The Ballad of Buster Scruggs.” (Zophres’ association with the Coens goes back decades; she first worked with them on 1994’s “The Hudsucker Proxy,” and has designed nearly all of their subsequent films.) For the worn-soft pioneer clothing of “Buster Scruggs,” Zophres told the Awards Circuit website she was inspired by paintings and illustrations (most notably N.C. Wyeth) of the old American West, as well as letters and diaries from pioneers of that period. “You learn certain details about how they washed, whether they bathed or not, how they washed their clothes, the fabrications, the wool and how heavy they were, how uncomfortable they were,” she said. Fourteen-time Oscar nominee Sandy Powell is nominated twice this year (also for “Mary Poppins Returns”), and this isn’t even the first time she’s pulled off that feat; she got the nod twice in 2016 for “Cinderella” and “Carol” and in 1999 for “Velvet Goldmine” and “Shakespeare in Love” (winning for the latter; she also won Oscars for “The Aviator” and “The Young Victoria”). 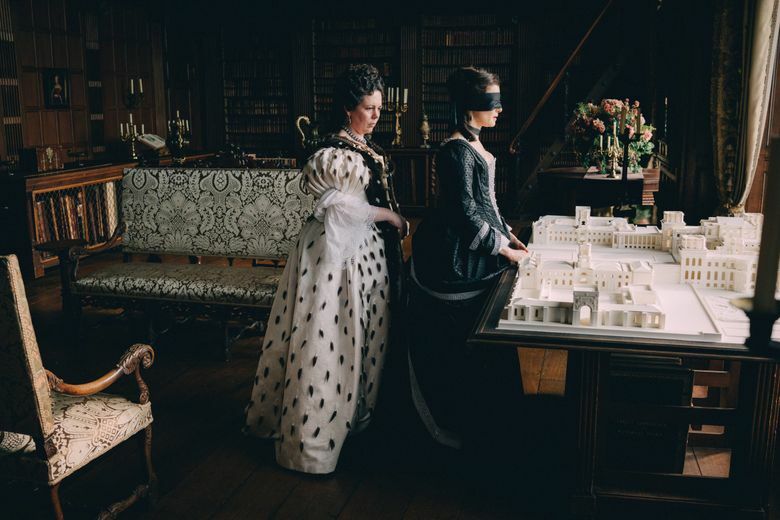 For “The Favourite,” set during the 1702-14 reign of Queen Anne, she created elegantly layered period costumes — but not strictly period. Director Yorgos Lanthimos wasn’t interested in meticulous accuracy, so Powell got creative with her sources: a candlewick bedspread from eBay made the Queen’s reversible black-and-white dressing gown; bluejeans from thrift stores were stitched into a servant’s dress. For “The Favourite,” Powell was working in a period (the early 18th century) that few of us know well; for the sequel to a beloved Disney movie, she was dealing with an icon. 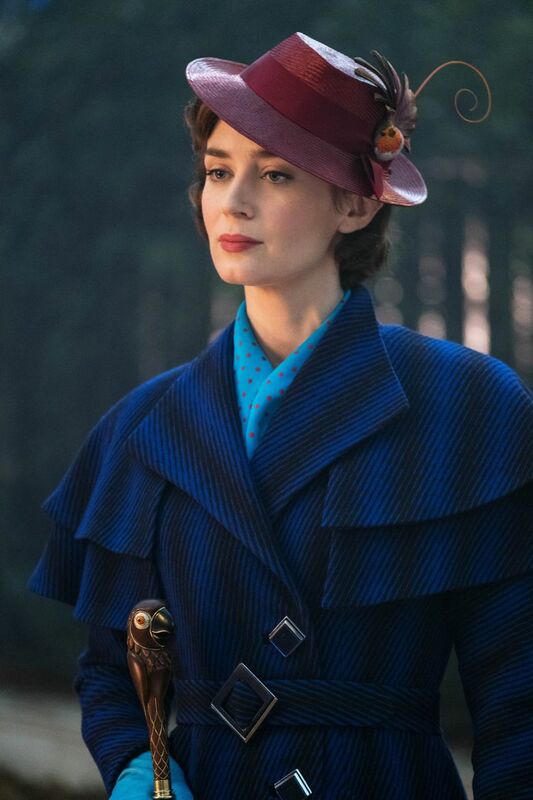 Powell dressed Emily Blunt’s Mary Poppins, for her opening scene in which she arrives on the tail of a kite, in a belted blue coat of a similar silhouette to the sensible raincoat worn by Julie Andrews 55 years ago, but of a more vivid blue, and with a cape around the shoulders “to give [it] a bit of movement,” Powell said in an interview, “when she is flying.” (Her smart red hat, in a teasing nod to the character’s duet with a sparrow in the original film, is trimmed with a bird.) The film is set in 1934, two decades after the setting of the original, and the clothes are bright and playful. Powell had fun with trompe l’oeil in the outfits worn in a fantasy sequence set inside a china bowl, with Blunt wearing a dress that looks as if it’s elaborately flounced — but it’s all a painted effect.